>YEAY! You made it safe and sound. Cannot wait for more pictures, and I agree, enjoy this down-time, you deserve it. This "CAKE" looks delicious :)! Great photo! >I can't wait to hear about your adventures over there! Everyone needs a good basic cake recipe and I love that yours has chocolate in it. I know that really intensifies the chocolatey flavor. >You look fabulous, Jess!! 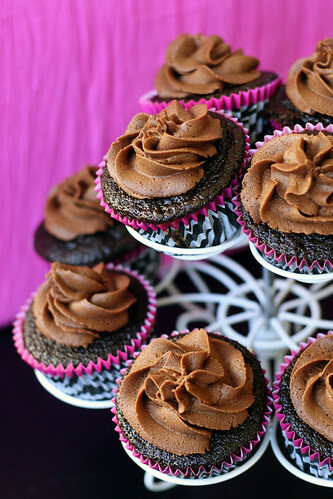 And so do these gorgeous cupcakes! 🙂 Hope you're adjusting well – it sure looks like it!! >This looks so moist and delicious! >CHINA!? awesome!!!! 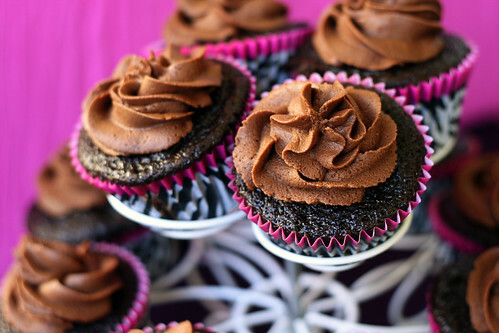 yummy cupcakes. simple is better!